Mexico’s Riviera Maya is picture postcard perfect. Golden sands, turquoise seas, palm trees swaying in the Caribbean breeze. It’s one of our favourite places to go on a family vacation. Our children are now 9 and we’ve been coming here since they were 6. 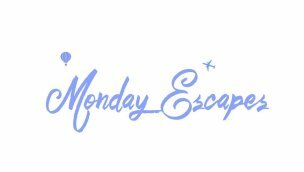 You can read about why we keep returning to Mexico in this post about Tulum. One of our favourite things to do is head to Akumal Beach, about 15 minutes from our hotel by taxi. 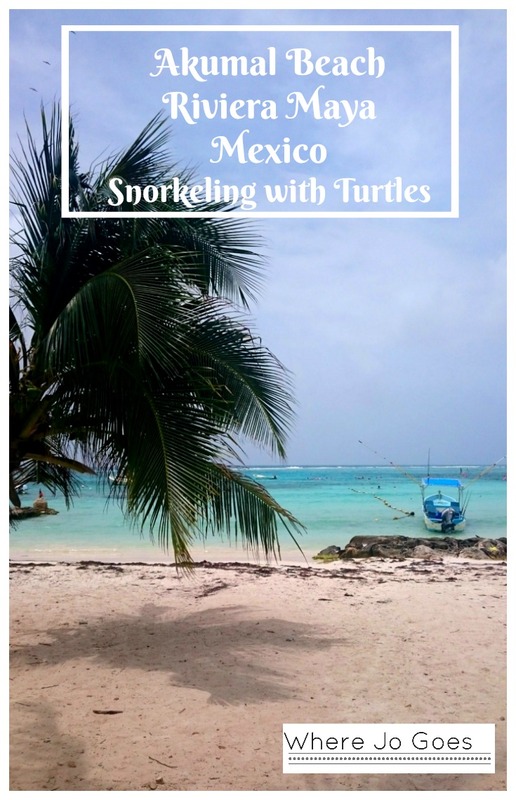 Akumal is a pretty bay with white sand, clear warm waters fringed with palms and is famous for its turtles. Mexico has the world’s second largest reef but you don’t have to head out in a boat or go scuba diving here to see these wonderful sea creatures. 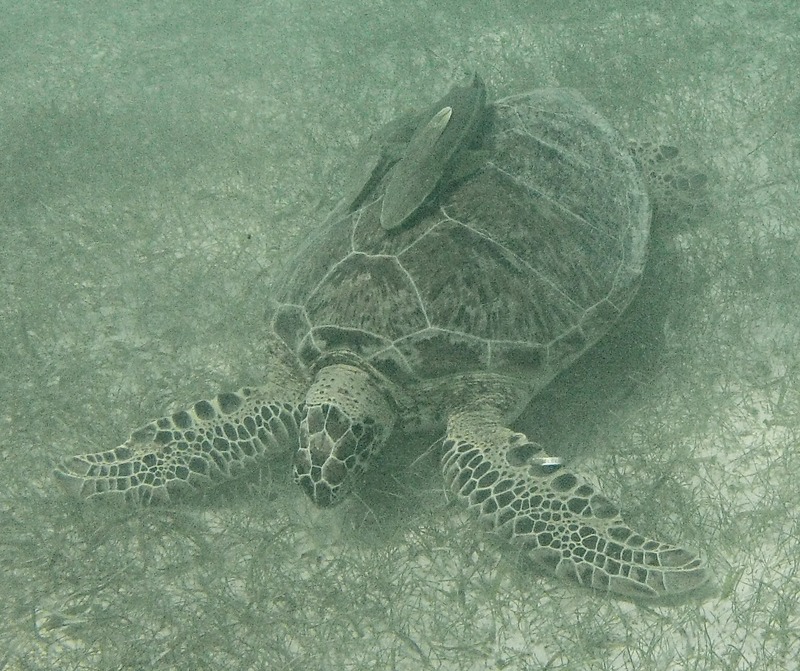 Get your snorkel gear on and swim out straight from the beach for great views of the turtles feeding on the sea grass. Snorkelling is one of my top vacation activities. I love to look down and see the underwater world below. 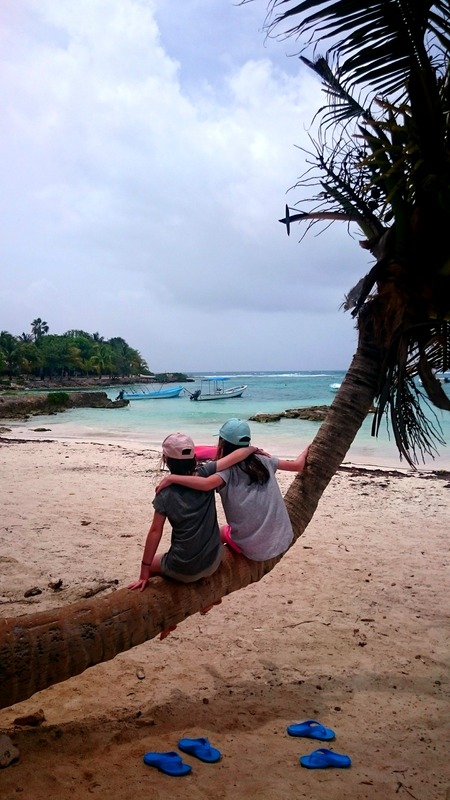 You can bring your own snorkel gear, hire it on the beach or you can hire a snorkel guide and this is what we tend to do as it makes it much easier with children and you see a whole lot more! We’ve hired a snorkel guide from Akumal Dive Shop when we’ve been here.The shop is right on the beach, they have lockers and showers and all the snorkel kit including life jackets, which must be worn when snorkeling here. The snorkel guide also pulls a rubber ring which children can hold on to. This means that you aren’t constantly checking where your children are – they are holding onto the ring with the guide, leaving you free to swim alongside and explore the seas below. Another advantage of a guide is that they know the best spots to take you to for maximum snorkel sights! Within an hour on our recent snorkel trip we had seen about a dozen turtles, a barracuda and several rays, as well as lots of other colourful fish. Later in our vacation we travelled to Cozumel and went snorkelling on some of the reefs there and didn’t see anything like the sea life we saw at Akumal. When my daughter and I went back in on our own later in the day, we again saw turtles and I’ve seen rays snorkelling on my own there before. As well as the sealife, Akumal is a beautiful beach popular with locals and vacationers alike. There are plenty of palm trees for shade and a good restaurant, Lol-Ha, under a thatched dome for a lunch or drinks stop. On our recent visit some friendly locals at the beach had offered us drinks, food and use of their brand new snorkel gear within 5 minutes of sitting down under the palm tree next to us – such friendly people! Akumal Beach is pretty much one of my most perfect vacation destinations, beautiful views, abundant sealife and the clear waters of the ocean. Life doesn’t get much better! This post is in no way endorsed or sponsored by any of the organisations mentioned. Photos are all the authors, taken on various trips. So beautiful! I have been to Tulum but not to Akumal. Love the area though. I read the snorkeling tours are going to be stopped on the bay (not sure when you visited). Maybe they are going to be limited to protect the marine life. We were there about three weeks ago. They do have strict rules like you can only view a turtle for 2 mins before you move on. The ocean is a beautiful place and there is so much to see down there! That’s why snorkeling is one of my favorite activities when traveling to somewhere tropical. I can’t believe you saw nearly a dozen turtles!! So jealous, I’ve only seen one!! Haven’t snorkeled before. Planning to do it in Bali next month. This looks like a great family spot by they way. 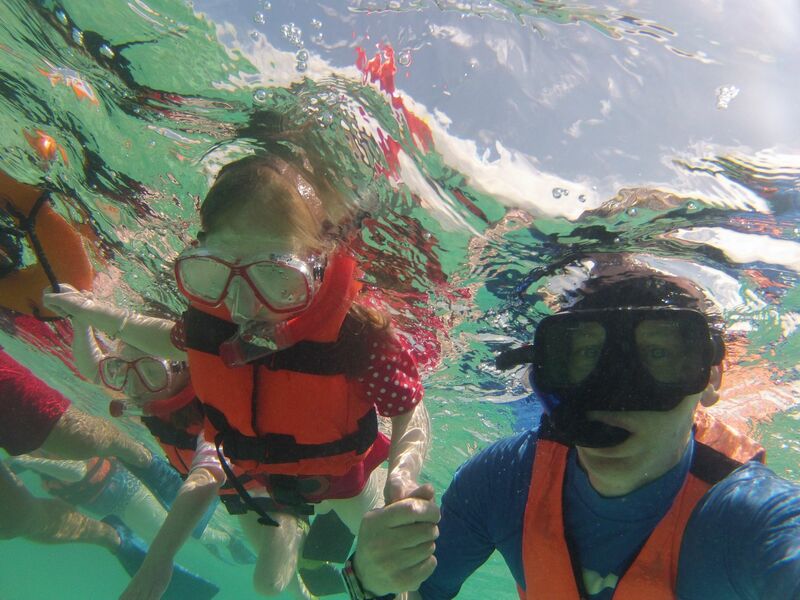 We love snorkelling and have been doing quite a bit of it recently! This place really does look amazing for it though, and sounds like you had an awesome time! I love snorkeling! First time I went was in the Caribbean near St. Thomas when I was 8 years old. Such a cool experience no matter how old you are! I’m so jealous that you go to see turtles! That’s my dream <3 what a great spot! 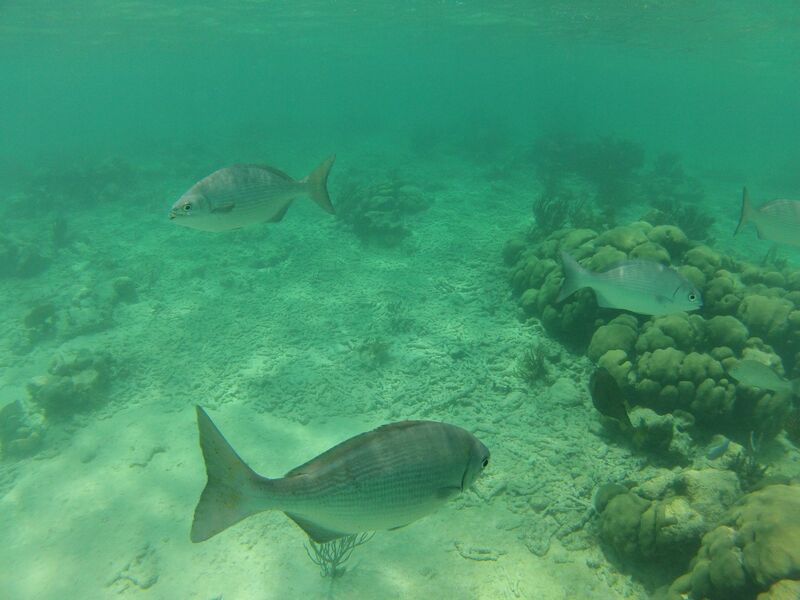 Snorkelling in Akumal Beach looks wonderful! 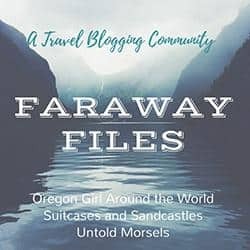 I’ve only snorkelled once in Hawaii and I loved it! I didn’t see any sea turtles sadly but I did enjoy swimming amongst all the fish. Love these underwater photos! I’ve only been snorkeling once (in the Bahamas) and it was actually a bit scarier than I was expecting! I love snorkelling! I basically grew up doing it and have snorkelled many places around the world. I am hoping to be in Mexico next year so I will have to check this place out! What a beautiful looking place to visit! I I’ve snorkelling and diving and guided snorkel trips are great because you get to go to some super special places! I’d love to dive there. Seeing turtles is also such a special occassion, they are so graceful as they flap through the water. This place looks fantastic. Like true beach paradise! Would love to snorkelling and see the sea turtles! Adding it to the list! I don’t dive so I love snorkeling too to see the underwater world. I’ve never seen that many sea turtles all at once! The most is just 1 or maybe 2. 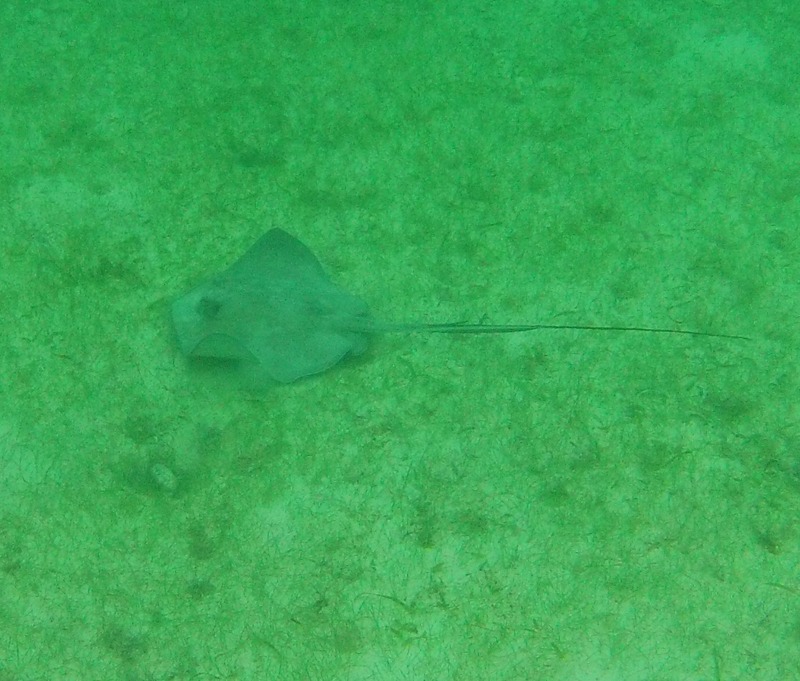 And I’ve never seen rays – i would love to see some! I was snorkeling in a malaysian island recently and saw tons of baby sharks.. that was definitely the highlight! I was just so sad I didn’t have an underwater camera to capture everything. This place looks great and so easily accessible from the US… I’l have to keep it in mind! This looks incredible! What a wonderful experience. Amazing photography. We’re going to Thailand later in the year and can’t wait to take our boys snorkelling. Jenny. What an amazing sounding place to visit. The photos are incredible, I didn’t get on with diving but snorkeling is great fun and to do it somewhere with so much to see must be incrediable. No wonder you love returning and good advice to have a guide with your too. One to add to my one day holiday list! Thank you for sharing with me on #Country Kids.